Treat damaged locks to the K-PAK Gift Pack Shampoo and Deep Penetrating Reconstructor. Working to strengthen and repair hair, the duo help to restore soft, healthy-looking strands from root to tip. 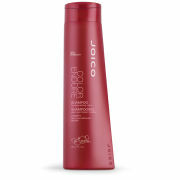 Rich and luxurious, the shampoo gently cleanses hair from excess oil and impurities, whilst Joico's exclusive Keratin Silicone Complex improves strength and replenishes amino acids to protect from damage. Packed with antioxidants, the shampoo restores elasticity and luminous shine and protects from further damage. Perfect for fine hair thanks to its low-molecular weight as well as coarse, thick types that benefit from the cream-based formula. An award-winning, restorative treatment formulated with a high concentration of protein-rich Quadramine Complex to repair damaged hair. 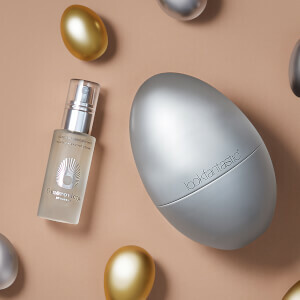 Amino Acids deeply penetrate the hair to powerfully rebuild strands that have been exposed to styling tools, chemical processes or harsh environmental stresses. 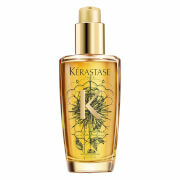 In just five minutes you can expect restored radiance and strengthen strands from root to tip. Shampoo: Water/Aqua/Eau, Sodium Laureth Sulfate, Cocamide Mea, Cocamidopropyl Betaine, PEG-3 Distearate, Disodium Laureth Sulfosuccinate, Pentapeptide-29 Cysteinamide, Pentapeptide-30 Cysteinamide, Tetrapeptide-28 Argininamide, Tetrapeptide-29 Argininamide, Hydrolyzed Keratin, Hydrolyzed Keratin PG-Propyl Methylsilanediol, Cocodimonium Hydroxypropyl Hydrolyzed Keratin, Aleurites Moluccana Seed Oil, Psidium Guajava Fruit Extract, Aloe Barbadensis Leaf Juice, Oenothera Biennis (Evening Primrose) Oil, Tocopheryl Acetate, Hyaluronic Acid, Glycolipids, Sodium Cocoamphoacetate, Guar Hydroxypropyltrimonium Chloride, Propoxytetramethyl Piperidinyl Dimethicone, Citric Acid, Tricetylmonium Chloride, Trisodium Sulfosuccinate, Sodium Cocoyl Glutamate, Disodium EDTA, Cetrimonium Chloride, C11-15 Pareth-7, Trideceth-6, Glycerin, Benzophenone-4, Methylchloroisothiazolinone, Methylisothiazolinone, Thioctic Acid, Butyl Methoxydibenzoylmethane, Allantoin, Sodium Ascorbyl Phosphate, Methylparaben, Sodium Chloride, Limonene, Butylphenyl Methylpropional, Benzyl Salicylate, Citronellol, Hydroxyisohexyl 3-Cyclohexene Carboxaldehyde, Hydroxycitronellal, Fragrance/Parfum. Reconstructor: Water/Aqua/Eau, Stearamidopropyl Dimethylamine, Mineral Oil/Paraffinum Liquidum/Huile Minerale, Glycol Stearate, PEG-8 Distearate, Sodium Chloride, Ceteth-2, Hydrolyzed Hair Keratin, Laurdimonium Hydroxypropyl Hydrolyzed Keratin, Myristyl Myristate, Citric Acid, Fragrance/Parfum, Sorbic Acid, Cetyl Alcohol, Stearyl Alcohol, Carthamus Tinctorius (Safflower) Seed Oil, Yeast Extract/Faex/Extrait De Levure, Aloe Barbadensis Leaf Juice, Keratin Amino Acids, Methylparaben, Propylparaben.